Now let's try to translate this text on the DODGE Ram 2500 into Swedish. While the previous Dodge pickup could barely attain one-tenth the sales volume of its rivals, the 1994 introduction of the big rig-influenced Dodge Ram was an immediate hit with truck buyers, and Ram pickup has become America's fourth-best-selling new motor vehicle for the first half of 1996. With gross weight ratings just under 9,000 lbs., the Ram 2500 is intended for heavier duty than the 1500. A wide range of comfort, convenience, and commercial options are available. 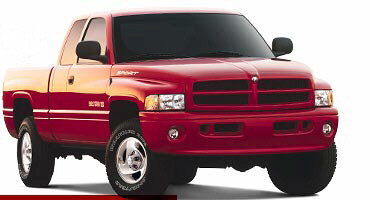 The 1997 Dodge Ram 2500 is available in four models: regular cab 2WD or 4WD, and Club Cab 2WD or 4WD. The standard engine is a 5.9-liter 235-horsepower V8; options include a 5.9-liter Cummins Diesel and the powerful 300-horsepower 8.0-liter V10. All engines are available with either a 5-speed manual or 4-speed automatic transmission. Standard features include a driver airbag, tinted glass, 6-inch by nine-inch outside mirrors, an instrument panel power outlet, intermittent wipers, and dual cupholders. 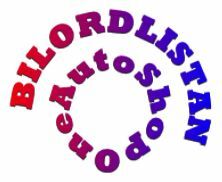 A rear-wheel anti-lock brake system (ABS) is standard, with a 4-wheel system optional on all models. -There'll be a key down here someplace if you keep scrolling! Not only can Ram boast being one of the biggest, strongest, hardest-working trucks around, but it was one of the first to combine these traits with that of an everyday vehicle for work and play. To prove its all-around prowess, Ram, with its fierce Magnum® engines, took on the NASCAR® Craftsman Truck Series and won four races this year against some pretty stiff competition.